There’s only one day left to experience Antony Gormley’s Blind Light at the Sean Kelly Gallery on 528 West 29th St. in New York. 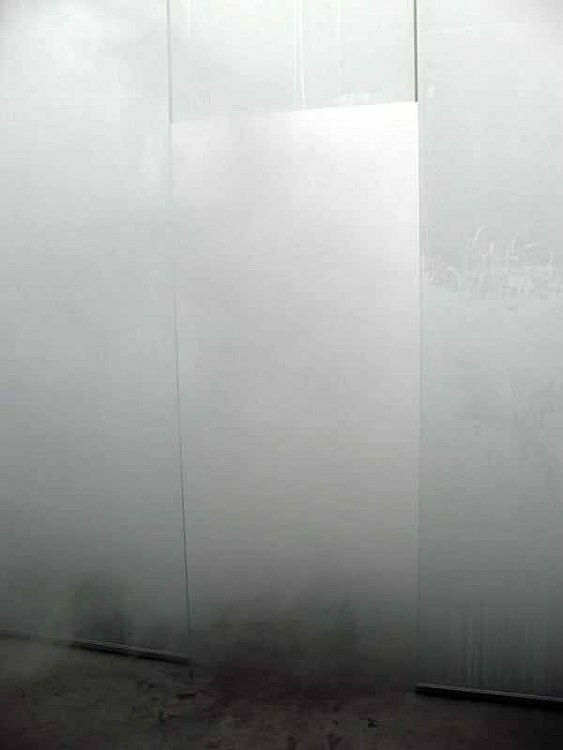 It’s incredible: You walk into a transparent room within a room filled with air so misty that you can’t see more than two feet. It’s totally disorienting and cool. This entry was posted on November 30, 2007 at 3:44 pm and is filed under art. You can follow any responses to this entry through the RSS 2.0 feed. You can leave a response, or trackback from your own site.